Schedule: You will need to visit the Nashville's Nutcracker youth cast page for your rehearsal schedule, since you will be performing alongside youth cast members. All rehearsals and assigned performances are mandatory. There are no conflicts allowed and absences will result in dismissal from the production. Illness is the only excused absence. One benefit to working with a professional ballet company is that the rehearsal schedules are set and will not change. Your commitment to your role means a commitment to every rehearsal and the entirety of the performance season. You will perform in a minimum of four shows, but please be prepared to step in for any other shows in the case of illness or injury to another dancer. Plan ahead for the final rehearsal week, theater week, dress rehearsals and performances. They will fall during the holiday season. Students will not be permitted or released to attend any function or activity that would conflict with the commitment you are making now. Email is crucial to Nashville's Nutcracker youth cast communications. We will send important information, rehearsal schedules, casting details and more via email. Please be sure that you check your junk/spam filters in your inbox and mark youthcast@nashvilleballet.com as a safe sender to receive all our emails. Text Alerts: Sign up for text alerts, which will be used to remind you of upcoming deadlines and when important information is headed to your email. We will also use text communication during any possible weather issues. Visit remind.com/join/ycnut18 or text @ycnut18 to the number 81010. Website: Use the youth cast page on our website as your first resource for information. 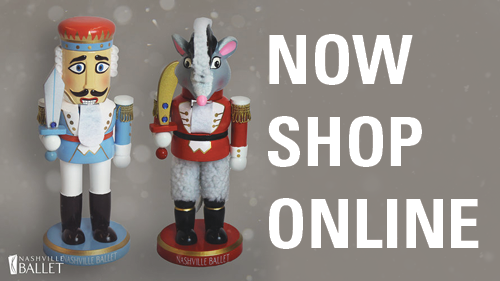 It will be updated with the most current information, including what we’ve sent through email: http://www.nashvilleballet.com/nutcracker-youth-cast. Once we post a schedule on the website, we will not change that information. There will be no surprise rehearsals. Facebook Page: Join our private Facebook Group at http://nashvilleballet.com/groups/NBYouthCast to connect with other Youth Cast members and parents, find or offer carpooling, receive reminders and updates, and foster a Nashville’s Nutcracker Youth Cast community. Please note that your first source of information should be Nashville Ballet. In Person: Youth Programs Coordinator Maggie Boehme will be at Nashville Ballet Monday - Friday 8 a.m. - 5 p.m. She will also be present for the parent meeting and youth cast photo shoot. In the evenings and on weekends during rehearsals, there will be a School Associate at the front desk. He/she will be able take a message for the Youth Programs Coordinator. Now that your child has a role in Nashville’s Nutcracker, the next step will be for him/her to be placed in a cast. Each role will have several children learning the same part, and these children will be placed into four separate casts by color. The color of the cast will be your map to follow through the final rehearsals and performances. At the first rehearsal, the stagers will separate the children into these casts. You will receive notification of your child’s cast, final rehearsal schedule and performance assignments on Thursday, November 1 via email. Should you become sick, please let us know by calling the youth cast hotline at (615) 297-0287. You should stay home if you are sick so we do not spread illness throughout the youth cast or the company dancers. You are released from a rehearsal or performance only if you are sick. It is best to let us know as soon as possible, in case an alternate needs to be secured. You may be asked to provide a doctor’s note. Due to our contracts with the Nashville Symphony Orchestra and our copyright licenses, we do not sell videos of our production. During the performance dress rehearsals, our professional photographers will take photos. Following the performances, you will be sent a link to those pictures and information on ordering prints. You are encouraged to take your own photos in the dressing rooms. Photos are NOT permitted while rehearsing or performing on stage! Only dancers in The Nutcracker, staff, and chaperones are allowed to enter backstage. The stage door entrance is located on Union Street between 5th and 6th Avenue North. You will have a specific time to arrive at the theater and to be released. You will receive this schedule in your theater information on November 1. Professional Training Division students must maintain consistent attendance in all technique classes, unless their Nashville’s Nutcracker rehearsal is a conflict. You are excused from any regularly scheduled classes to attend Nashville’s Nutcracker rehearsals or performances. Look for PTD classes to be scheduled to accommodate the demands of Nashville's Nutcracker rehearsal. Will tickets still be available when I receive my performance assignments at the beginning of November? Yes. However, we strongly recommend that families purchase tickets as soon as performance date assignments are received. Performances typically begin selling out around the Thanksgiving holiday. Matinees sell out first. What discounts are available to PTD families? PTD students may use the promo code NUTTYKIDS for 15% off select seats. For the best discount, purchase season tickets! Free exchanges - You don’t have to wait for casting to reserve seats! When is the Nashville Ballet Box Office open? Standard Nashville Ballet Box Office hours are Monday - Friday, 10 a.m. - 5 p.m. Hours will be adjusted during performance weeks. Tickets may be purchased online at any time. We recommend using the purchase link provided in your casting email to automatically apply your youth cast discount. How do I apply a promo code online? 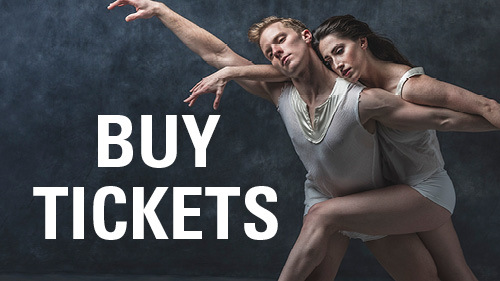 The easiest way to apply a promo code is to click the discount purchase link provided by Nashville Ballet. If you are unable to follow the link, you must click “Have a promo code? Click here.” at the top right of the screen on the Nashville’s Nutcracker purchase page at NashvilleBallet.com or TPAC.org. Promo codes must be applied before selecting seats. If you have already selected seats, you must empty your shopping cart before applying the promo code. Can I apply the youth cast promo code to tickets I already purchased? No. Discounts cannot be applied to previously purchased tickets. Can I exchange tickets I already purchased? Yes. Season ticket holders receive free anytime exchanges. If you purchased individual tickets, it may be possible to exchange them. Fees and upgrade charges may apply. Please contact our Box Office Coordinator, Jeremy Maxwell, at tickets@nashvilleballet.com or (615) 297-2966 x710 to request a ticket exchange. Contact our Box Office Coordinator, Jeremy Maxwell, at tickets@nashvilleballet.com or (615) 297-2966 x710.